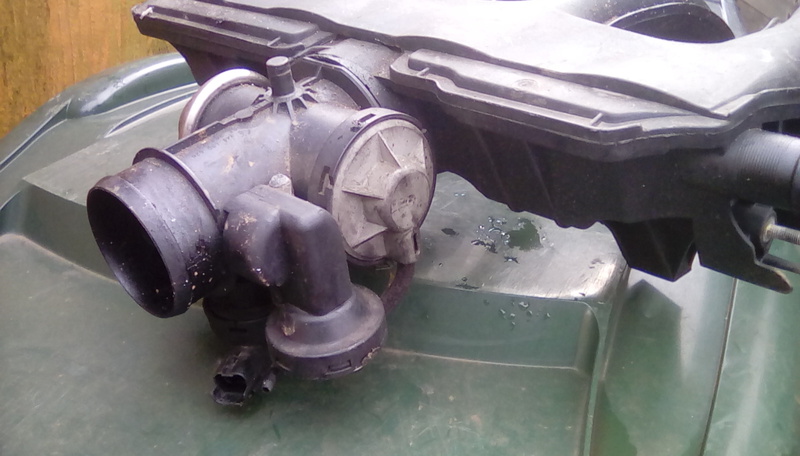 My prospective C15 acquisition seems to have a buggered EGR valve. Anyone have a lead for a replacement / info on possibility of blanking it off. You can blank it off with an old bit of baked bean tin cut to shape - but you will need someone with a Lexia to tell the ECU it doesnt have one any more and not to throw any error codes up. If it's blocked off it won't throw an error code up if it's still connected. I think I used a 2p or 10p coin. I had no error lights. I did the same on the 2.1 xud in the pug,the Audi A4 I used a coke can and the dw8 I'm sure it was a coin too. What are the symptoms ? Had a berlingo that someone said the egr was buggered on , turned out to be a blocked rear silencer . Wouldnt start and loads of exhaust gas out of the inlet . I don't think the simple DW8 ECU will care if the EGR is present or not. Bear in mind, I haven't acquired it yet. The seller is a friend, he tells me that it started fine cold and ran OK for the first couple of miles then power was lost progressively such that he had to change down eventually to first gear before it expired completely. Apparently it smelt hot but wouldn't restart. 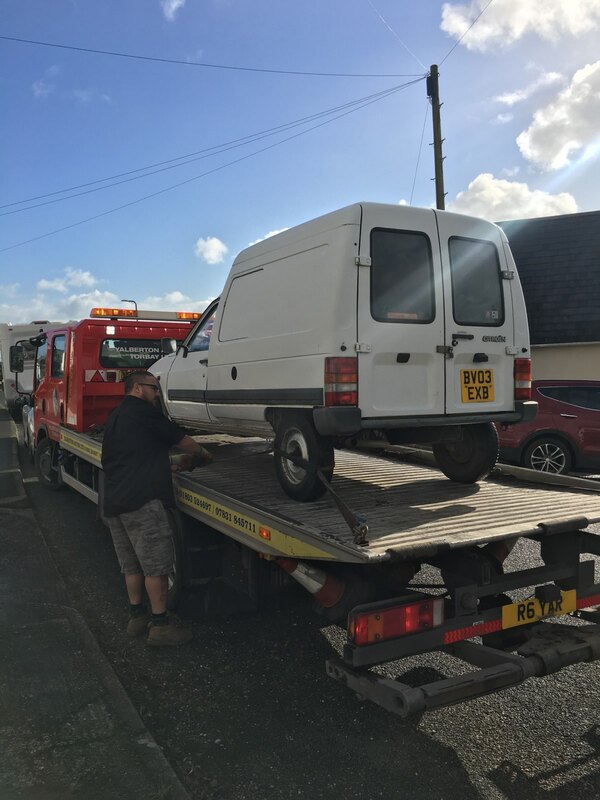 The van has been recovered to a garage in Torbay who have diagnosed EGR failure - not opening / closing. See the bit on the left, the metal part. Cover the hole with a coin then attach the metal pipe back on. You’ll never have any problems with it again. ^^^ Yeah its a much more complex bit on the DW10 HDi and sadly I did need a lexia as it kept throwing off fault codes. If it’s DW8 with ECU control and air flow meter it will notice lack of EGR flow and pop the Engine Check Lamp on. If it doesn’t have an air flow meter then go ahead and blank it off, no problem. +1 on the blocked silencer.This happened under guarantee to one of our sale Dispatches. What does the ecu actually do on this engine? Does it just control the egr valve? It controls the fuel pump timing via a solenoid on most DW8s. Does the EGR have a green or grey plastic cap on the right hand side ? They can be blanked off with no ECU problems, blank off the metal pipe from the exhaust manifold to the EGR with a thin piece of metal cut to a disc shape and size. Cut the vacuum hose and blank it off, some use a Golf tee then join the hose back together because the new MOT tester might cop the bother if they see the EGR has been 'Tampered with' also I have seen the EGR flap held open with a screw through the casing to stop it being sucked closed under load. leave it connected electrically. Clean the EGR and inlet manifold by removing it, you will need new manifold 'O' rings. It is a simple job, just takes a bit of time. Has the van done all town work ? Check air filter isn't turned inside out, check / replace fuel filter, might be something simple like throttle cable breaking ? Disconnect exhaust at downpipe if you can then try to start it, there are no Lambda sensors. That's air / fuel / exhaust tested. that's something to get started on anyway... First check is for oil on the dipstick... Only oil and no smell of diesel..
^^^ as he says, it wouldn't hurt to check with the garage in Torbay that they have confirmed the basics are as they should be. I'd add checking the fuel injection timing is correct, also that the fuel pipe and any flexible hoses aren't leaking/perforated somewhere and air is being drawn in rather than fuel... these can happen suddenly and would also result in loss of power and failure to start. my picasso hdi 90 is unplugged and no EML light on. Apparently with the pipe from the exhaust to the EGR disconnected, it runs fine but reconnect the pipe and it all goes Pete Tong. Fair enough. Swapping in the s/h one from D Spares & Tyres would seem to be a cheap and easy next step to see what difference is made. If none then you can pass it on again!